GLB specializes in producing flavourful beers that will be sure to awaken your taste buds with each sip. 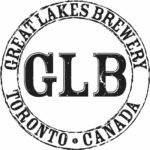 From unique seasonal ales, bottle conditioned releases, year-round ales and premium lagers to their 7 Barrel and Tank Ten Series of beers, GLB produces a variety of products to be enjoyed by everyone! 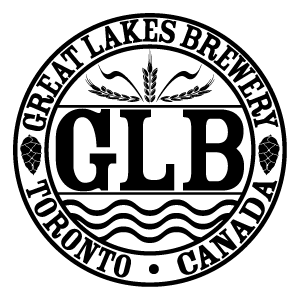 Great Lakes Brewery incorporated on February 12, 1987 and soon after opened their brewery at 155 Clark Blvd in Brampton, Ontario. 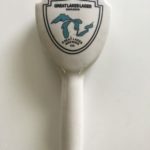 There were 5 co-founders who named the brewery Great Lakes because they dreamt of opening 5 breweries around the Great Lakes. 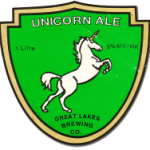 Between 1987 and 1990, Great Lakes produced only two beers – Unicorn Ale and Great Lakes Lager. Each beer was brewed using malt extract, yet both beers got awesome reviews from the beer community. Both were packaged in green 1L PET bottles with a focus on the home consumer. The brewery was purchased by the Bulut family in 1991 who immediately noticed a change in venue was needed in order to expand. They moved the brewery to our present day location in Etobicoke in 1992 and changed it to all grain brewing. 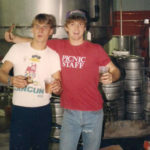 Great Lakes Owner and Chief Brewing Officer, Peter Bulut Jr., and Head Brewer, Mike Lackey, have known each other since public school. When the Bulut family purchased the brewery in 1991 Lackey immediately sought them out for summer work. 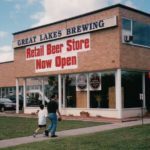 Great Lakes did not operate a brewery retail store until 2000. When they opened their doors to the public for the first time, they offered 6 packs of Golden Horseshoe Premium Lager and Red Leaf Lager in 341ml bottles. The store is now a community hub in Etobicoke. Another big milestone took place in 2006 when Devil’s Pale Ale 666 was introduced at the Toronto Festival of Beer. 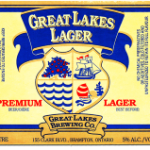 It was so popular that Great Lakes decided to make it year-round. 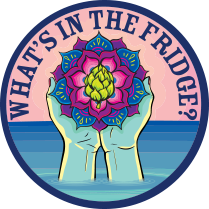 Packaged in 473ml cans, it was an instant success when it hit the LCBO in the fall of 2007 and helped start the hop craze in Ontario. Canuck Pale Ale first debuted in time for the 2010 Winter Olympics and was available at the Ontario athletes pavilion in Vancouver, BC. It also won its first Gold Medal at the Canadian Brewing Awards the same year. First offered in 650ml bottles, Canuck actually had two different bottle designs. Canuck Pale Ale became such a popular beer right out the gate that Great Lakes decided to make it a year-round brand in 2011. It was renamed Crazy Canuck Pale Ale, after the ski team of the 1980’s, and packaged in 473ml cans. It won its 2nd consecutive Gold Medal at the Canadian Brewing Awards. 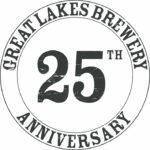 2012 marked Great Lakes 25th anniversary and to celebrate the momentous occasion, GLB released five new beers in a variety of styles in 750ml bottles. Four of those beers were sold at the LCBO and Peter Bulut (Owner) said they were some of the best beers ever brewed at GLB. 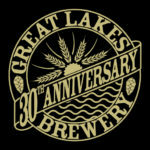 Due to the overwhelming success of the 25th anniversary beers that Great Lakes released in 2012 the brewery made the decision to introduce a new series of beers, Tank Ten, which would allow them to brew one-off beers in greater quantity and distribute them throughout the province. 2012 was also the year that GLB underwent a transformation with respect to branding, ushering in a new look and brewing attitude. 2013 was a great year for the Great Lakes family as they won the prestigious “Canadian Brewery of the Year” award during the Canadian Brewing Awards. To celebrate the fifth anniversary of “Crazy Canuck Pale Ale”, Great Lakes decided it was time for a rebrand. The beer was renamed Canuck Pale Ale, going back to its roots, and Gordie Levesque, the burly Canadian lumberjack who graces the can, was introduced to the public in the summer of 2014. We turned 30 and made a documentary to tell you all about it. Download today.